We have missed you too. Hope you all are having a peaceful holiday season, sipping some fine eggnog and enjoying the company of dear ones. Before we get into the details of the release, we wish you a very happy new year. It’s a time to reflect on 2018 and plan for life goals in 2019. 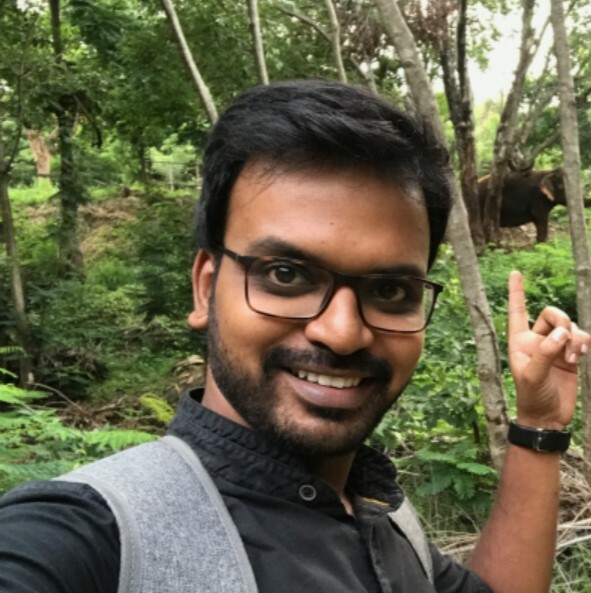 Daniel is a WordPress developer from Bengaluru, India and will be helping to make SuperPWA better than ever. We met Daniel on twitter a few months back, one thing to led to another and a collaboration was born! During our first call, I asked him what his first name was and turns out that “Maria Daniel Deepak” is his entire “first” name. There is more. Plenty more! Daniel has already contributed to SuperPWA 2.0 in a big way and there will be plenty more to come in the upcoming months. You can follow him on twitter, stalk him on his website here: DanielDeepak.com and admire his commits on GitHub. This is the biggest enhancement in this update. Up until now, SuperPWA generated manifest and service worker as physical files in the root directly of your website. Starting with 2.0, these files are dynamic and are generated on the fly. What does this mean to you? Hopefully for most of you guys, it shouldn’t make any difference. The transition should be seamless. Please take the time to test your PWA and let us know if something comes up. The big impact would be for those of you who couldn’t use SuperPWA before because of write permission restrictions, this should come as a blessing and you will be able to use SuperPWA. Dynamic files also make it possible to use SuperPWA when your WordPress is installed in a folder. In SuperPWA 2.0 you have the option to set the “Display” mode for your PWA. Display mode decides what browser UI is shown when your app is launched. At the time of writing, SuperPWA is fully translated to 12 world languages and partially translated to 4 languages. All of these by the awesome polyglot community! Thanks to these awesome translators! Karol Voros and Peter Hrnciar for Slovak. cubells and rogerforner for Catalan. Andrea Gandino, Stefano Cassone, Francesco Barberini, mciciliatti, crallucart, and Andrea Brunato for Italian. BArS, Artem Abramovich, Laconic Website, and pumasin for Russian. arkangel, NazarDesign, Nilo Velez, and joseandresnm for Spanish (Spain). Yousefzadeh and hasan movahed for Persian. redb68, Romain VINCENT, Bastien Ho, and agence24 for French (France). webaware and Stephen Edgar for English (Australia). Garrett Hyder for English (Canada). Gary Jones for English (UK). webaware for English (New Zealand). There are more contributors and contributions pending review from an editor. If you are an editor, or know one, please request them to take a look at the translate.wordpress.org page for SuperPWA. Here is the complete changelog of SuperPWA 2.0. Dynamic files in SuperPWA 2.0 needed certain changes with certain web servers and also needed to be excluded from caching plugins. 2.0.1 adds back the old method of static files making SuperPWA work out of the box in these conditions. It’s a minor release, but a lot of work and testing has gone into it to accommodate both static and dynamic files in one plugin.